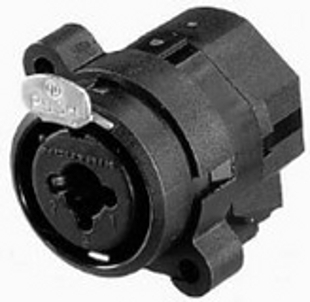 Neutrik NAC3FCA PowerCon Locking 3 pole Mains Connector. With the two non-interchangeable types of connectors (A-type, B-type) it is impossible to produce a short circuit. 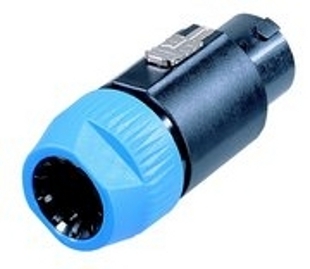 Mating connectors (combination) are identified by mechanical keyways and by color: A-type (POWER INLET) B-type (POWER OUTLET) Cable connector: blue grey, with blue bushing Chassis connector: blue grey NAC3FCA Cable connector with quick lock. Blue. Power IN System. 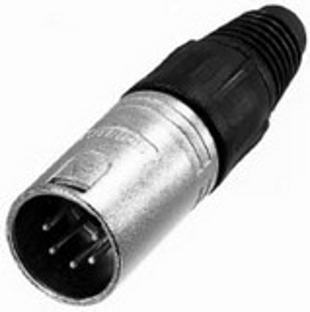 With the two non-interchangeable types of connectors (A-type, B-type) it is impossible to produce a short circuit. 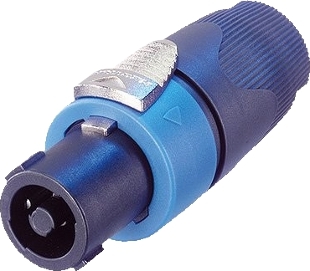 Mating connectors (combination) are identified by mechanical keyways and by color: A-type (POWER INLET) B-type (POWER OUTLET) Cable connector: blue grey, with blue bushing Chassis connector: blue grey NAC3FCB Cable connector with quick lock. Gray. Power OUT Sytem. Unified metal shell for male and female. Solder cups, or PCB terminations (4 and 5 pole only). PCB mounting, fastening by chassis mounting holes with M3 threads or by self tapping PT® screws with thread 2.9x1.06 (tri-rondular) direct to PCB NC3FD-L-1 3 pole. Female receptacle unified -`D`- housing. 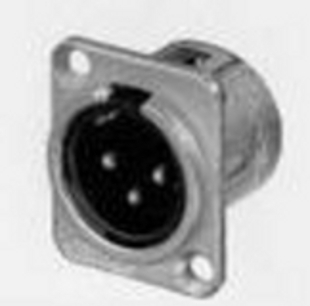 Neutrik NC3FXS FXS Type FX connector with noiseless ON-OFF switch short-circuiting contacts 2+3. For use with a microphone without switch. Enlarge 3 pole cable connector, female. Nickel housing and silver contacts. 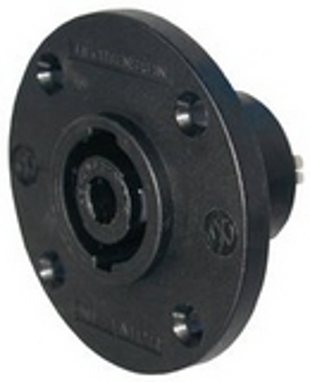 DL Series, unified metal shell for male and female. RF-protected. Solder cups, or PCB terminations (4 and 5 pole only). 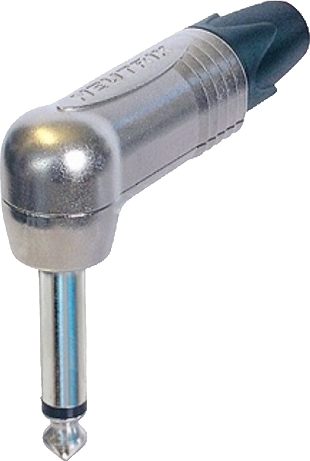 Neutrik NC3MP P Series Smallest available hard wiring large solder cups. 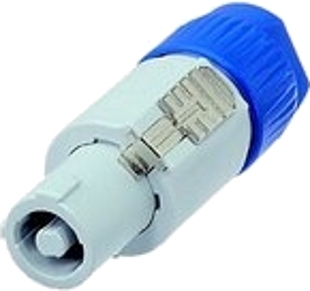 Enlarge 3 pole cable connector, male. Nickel housing and silver contacts. 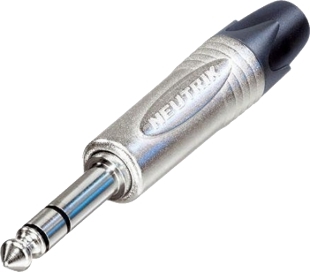 Neutrik NC5FX X Series The worldwide accepted standard. 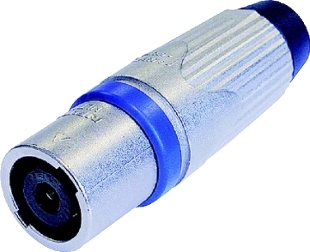 Rugged diecast shell, compact design (shortest available XLR cable connector). Time saving assembly: only 4 pieces, no set screws. 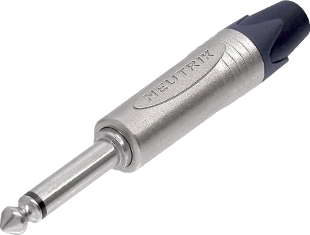 Neutrik unique chuck-type strain relief. Compatibility / Remarks Compatibility: IEC tentative standard Switchcraft® QG (except 6 pole) & Cannon XLR Special 6-pole version, compatible to Switchcraft® QG (not according to IEC): - NC6FSX [-B] / [-BAG] - NC6MSX [-B] / [-BAG] Disassembled version (3 pole only) in dispenser box of 100 pcs. : add suffix "-D" NC5FX 5 pole. 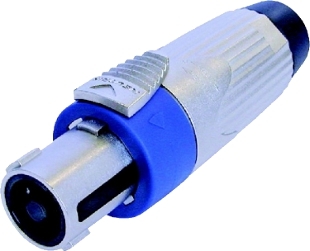 Cable connector, female, rear insert. Supercompact and robust, ground lug, excellent cable protection, no tools required. Nickel housing and silver contacts. Neutrik NC5MX X Series The worldwide accepted standard. 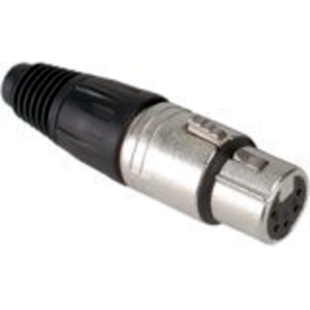 Rugged diecast shell, compact design (shortest available XLR cable connector). Time saving assembly: only 4 pieces, no set screws. Neutrik unique chuck-type strain relief. Compatibility / Remarks Compatibility: IEC tentative standard Switchcraft® QG (except 6 pole) & Cannon XLR Special 6-pole version, compatible to Switchcraft® QG (not according to IEC): - NC6FSX [-B] / [-BAG] - NC6MSX [-B] / [-BAG] Disassembled version (3 pole only) in dispenser box of 100 pcs. : add suffix "-D" NC5MX 5 pole. Cable connector, male, rear insert, easy assembly like FX, no tools required. Nickel housing and silver contacts. Enlarge Neutrik NCJ6FIS Combo Series Combined XLR receptacle and phone jack. New attractive `front end` design (30% less protruding from panel than original). Saves racks space by combining 2 connectors in one housing. Another unique Neutrik innovation: Securely locking jack for cable assemblies. 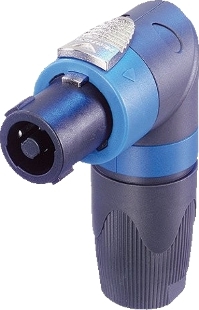 Mates with all mono or stereo plugs specified to EIA RS 453. 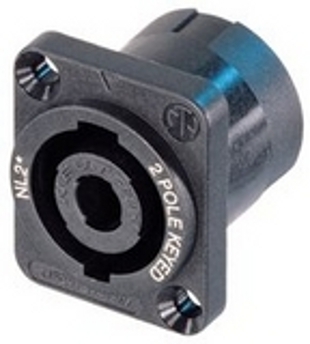 Professional locking cable-jack for secure in-line connections. 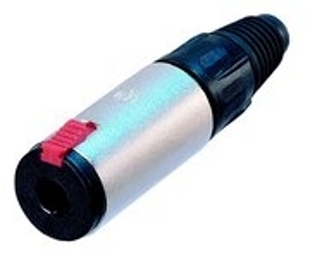 Mates with all mono or stereo plugs specified to EIA RS 453 dimensionally compatible with D-series. 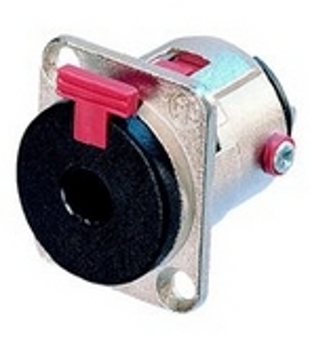 Remarks / Applicable Standard Compatibility: EIA RS 453 NJ3FP6C Locking 1/4 Inch phone jack. Same shell as D-Series. 2,4 and 8 pole versions with `Quick Lock` system. 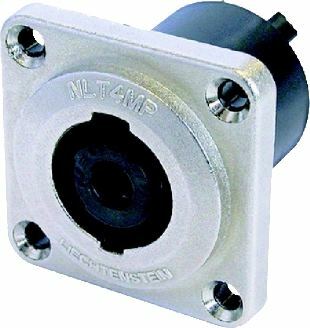 The chassis types are fast and easy to wire with flat quick-connect terminations (e.g. Faston®). 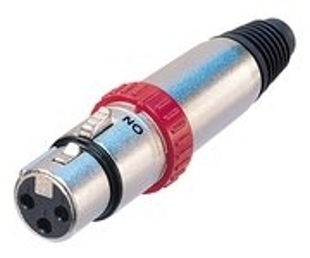 Does not intermate with the 4-pole cable connector. Rated current/contact: 30 A rms continous, 40 A rms 1 min. 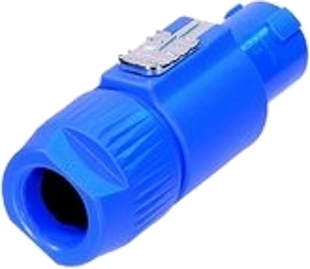 Enlarge 4 pole right-angle cable connector with chuck and bushing. 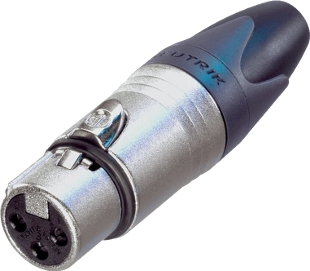 Enlarge Neutrik Speakon 4 pin connector 50 ampere RMS. 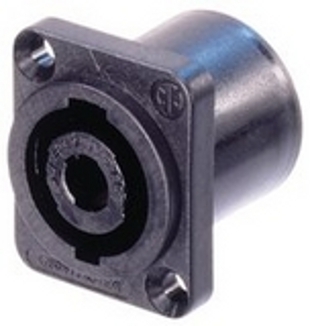 Small flange compatible with `D`-Series connectors. 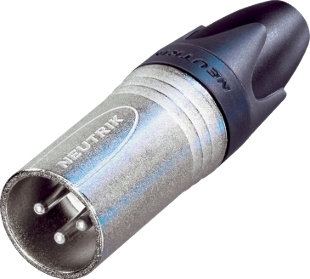 Neutrik unique chuck type strain relief. Cable connectors have solid contacts with screw-type terminals, a special stranded wire protection and are solderable too. 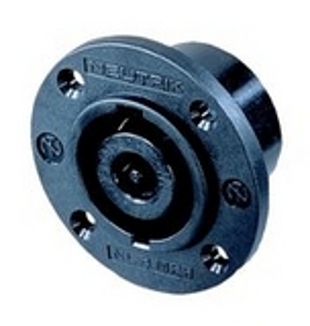 Cable sleeve for cables 10 - 21 mm diameter. 30 A continuous per contact. Enlarge Enlarge The new generation of Speakon STX Series 4-pin cable and chassis connectors offers the same proven reliability as the standard-setting Speakon system. Rugged, die-cast metal housing and built-in gaskets make the STX Series products ideal for the most demanding tasks, including outdoor and touring applications. 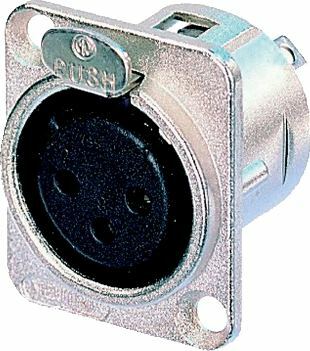 4-pin chassis connector male in nickel housing; also available in black chrome (NLT4MP-BAG). 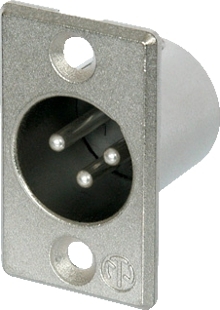 Enlarge The heavy duty professional phone plug series improves on the design of the existing C series by offering the thinnest available A-gauge 1/4" plug with unique Neutrik chuck type strain relief on the market. The slimline shell with a width of 14.5 mm meets the most recent requirements for highest density jackfields (15.88mm jack pitch). The precise machined one-piece tip contact without rivets makes it unique and avoids hook up in a socket or break off the tip. The Plug X Series serves all applications such as guitar applications, audio cables, snakes, speakers, amplifiers and mixing desks.